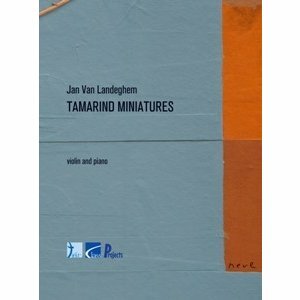 Jan Van Landeghem wrote these three "Tamarind Miniatures" as a reminiscence to one of his journeys to Greece. 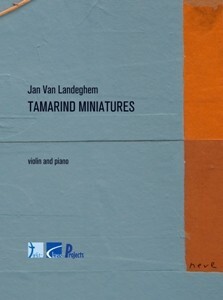 He found his inspiration in three poems of the cycle "Een tent van Tamarinde", published in 1984 by the Belgian author Anton van Wilderode (1918-1998). The parts of the suite for violin and piano: 1. Athena Lemnia - a sculpture in a Greek museum; 2. Pegasos - the flying horse; 3. Torso - a sculpture in a Greek museum.